The earliest known inhabitants of the Fiddich valley were Picts. Traces of their occupation remain in the shape of the mysterious 'Elephant Stone' and a weathered Pictish cross almost six feet high. A Christian community was started in 566 AD when St Moulag founded Mortlach Church, one of the oldest Christian settlements in Scotland. 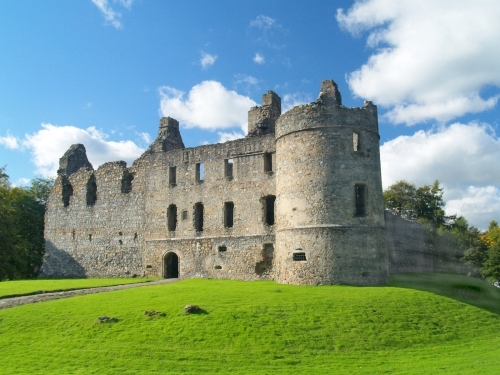 There is a legend that King Malcolm II extended the church three spears' lengths as a thanksgiving after defeating the Danes on the haugh below the church in 1010. The north wall with its postern door has a leper's squint and in the graveyard is the watch-house used to guard against body-snatchers. 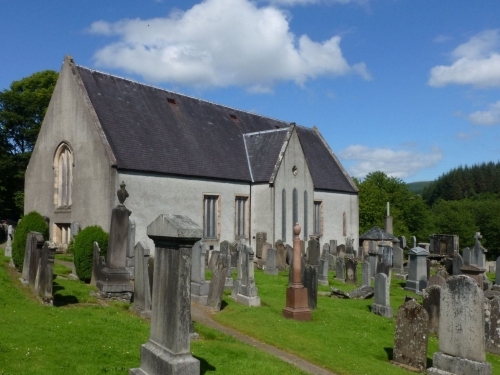 The church still stands on this site today, nestling between Dufftown's oldest distillery, also called Mortlach, and its younger rival, Dufftown. St. Mary's Catholic Church, built in 1728 is situated near the bottom of Fife Street. In need of extensive restoration you can click here to find out more. The clock is known locally as "The clock that hanged MacPherson". MacPherson of Kingussie was an infamous freebooter condemned to death at Banff in 1700 for robbing the rich and giving it to the poor. The local inhabitants raised a petition for his reprieve but when the pardon was on it's way, MacPherson's arch enemy, Lord Braco, the Sheriff of Banff, put the clock forward a quarter of an hour to make sure MacPherson would hang. Sometime later the clock was removed from Banff and installed in Dufftown's tower. Dufftown's perfect water sources soon saw it become a centre for the distilling industry - both legal and illegal. Today, its distilleries produce some of the most famous whiskies in the world, including Glenfiddich, Glendullan, Kininvie, Mortlach, Balvenie and Dufftown-Glenlivet.